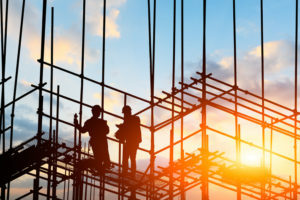 As someone who works on a construction site or has a loved one who works on a construction site, getting hurt at work is always a major concern. Unfortunately, safety hazards and safety violations are all too common on construction sites. As a result, hard working men and women are too often hurt whether it is from falling from a ladder, scaffolding, roof, or in some other way. We are committed to enforcing the safety regulations, statutes, ordinances, and industry standards that have been set to ensure a safe working environment. If you or a loved one have been hurt because of an unsafe work environment, do not hesitate to call us now.